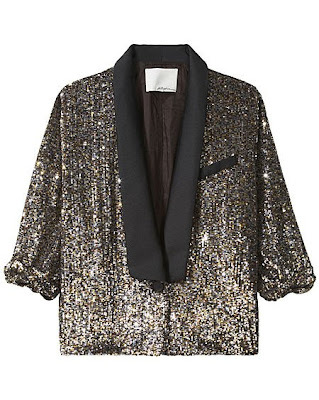 I saw this sequin tuxedo jacket at Scoop 73-74th Street & 3rd Avenue window. I'm not sure it's Phillip Lim's. Ooohhh! Scoop has it! Thanks Ann! I hope they go on sale by Jan, heehee!